Custom modification of Saturn Inflatable KaBoat SK430 by our customer from Finland. 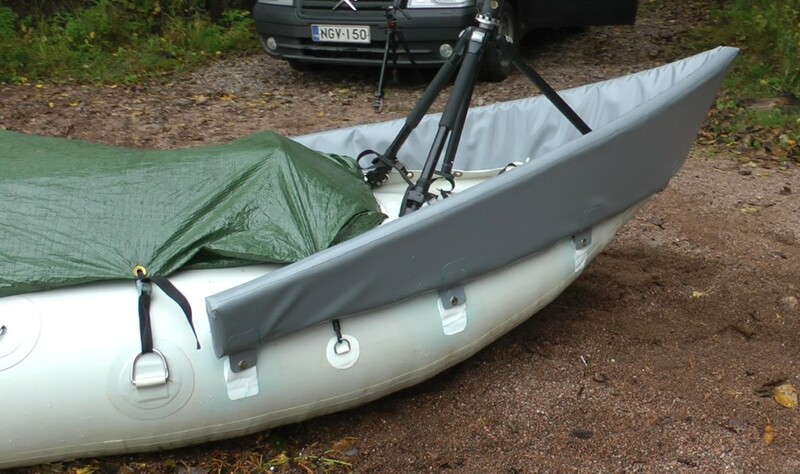 HomeBoatsToGo - Blog About Inflatable Boats, Inflatable Rafts, Inflatable Kayaks And More...Custom modification of Saturn Inflatable KaBoat SK430 by our customer from Finland. "I attached photos of my new ad-on bow piece for inflatable KaBoat SK430. You probably noticed from my whitewater river videos that I had problems with the low profile bow of SK430. I hope I can fix it with this attachment. In addition to these, there is only small minor issue like placement of the oarlocks. I have no room to row when I have my gear loaded. So I'm planning to glue a new pair of oarlocks near the drivers seat. This year is going to be my fourth with SK430 and I hope it's going to do just fine. It has never let me down so far, so I'm quite happy with it."